A detailed guide on how to free download wedding songs/music MP3 online. Looking for the right music for the special day and wanna make your wedding ceremony more unique and gorgeous by playing wonderful wedding songs? Still buying wedding music CD or MP3 for your wedding ceremony? Here I will introduce an easy way to get wedding songs download free in MP3 online with a professional online wedding songs downloader. WinX HD Video Converter Deluxe, a professional online video/music downloader and converter, makes the wedding songs MP3 free download task so simple. It supports free downloading any wedding songs from YouTube, Vevo, Vimeo, Dailymotion and other 300+ online sites in seconds, and convert any downloaded wedding songs videos in FLV, MP4 to MP3, AAC, AC3, etc. 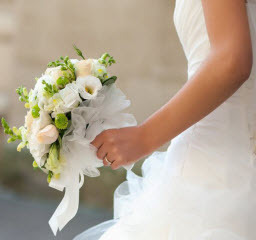 at one go, so as to playback favorite beautiful wedding songs on the wedding ceremony. Moreover, 8k/4k videos downloading are also accessible with this powerful online video downloader. Last but not least, it is perfectly compatible with Windows 10 PC. Free download most enchanting and graceful marriage songs/music for the wedding ceremony to make the day a perfect day. Here's a preferred wedding songs download list. Free download, install, and launch this first-class online music downloader. Only 4 simple steps will help you accomplish the wedding songs MP3 free download. Step 1. Launch the professional wedding songs downloader and click "YouTube URL" button to step into the download window. Go to YouTube, Vevo, Dailymotion, Soundcloud home page or any other 300+ sites to find the most favorite wedding songs you'd like to free download and play on the wedding ceremony. Step 2. Copy the URL of the wedding song and paste it to the address bar. Click "Analyze" button to analyze the weddings songs/music detailed info. If the original source wedding music is MP3, just select MP3 and jump to step 4 to free download MP3 wedding songs directly. If not, choose any one format and proceed to step 3 below. Step 3 (Optional). 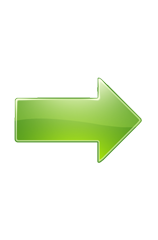 Check "Auto convert" if you want to download and convert wedding songs video to MP3, AAC, AC3, and more. Step 4. Click "Browse" to select a destination folder to store the downloaded wedding songs and click "RUN" to start the wedding songs MP3 free downloading task. Attention: We do not advocate illegal usse of wedding songs downloaded free from online sites and suggest you respect the copy right of the contributors. Free download wedding songs and any other hit songs' music videos/MP3 from YouTube, Vevo, Dailymotion Soundcloud and another 300+ online sites, and convert any (wedding songs) video to MP3, AAC, AC3, FLAC, iPhone Ringtone etc. 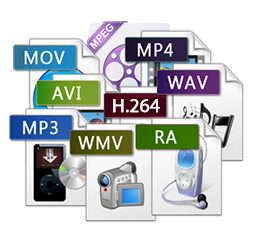 Moreover, it also enables you to free download any 8K/4K/1080p/720p HD or 3D movies videos and easily convert them to MP4, AVI, WMV, MOV, iPhone iPad Android and many other popular video formats devices.